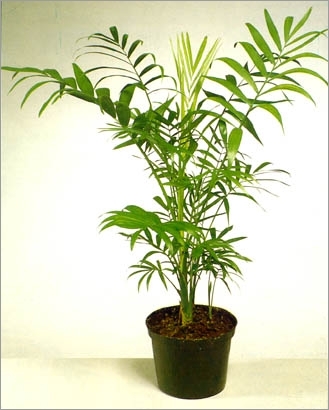 Sold by the millions as cute miniature indoor plants in supermarkets and garden centers all over the world, this palm has probably been the quintessential indoor palm since Victorian times. Native to rainforest in Mexico, Guatemala and Belize, it grows a solitary, canelike stem to about 2 m (7 ft.) tall, topped by a graceful crown of neatly pinnate, pale green leaves. Best suited for a shady spot indoors or in the subtropical/warm temperate garden.